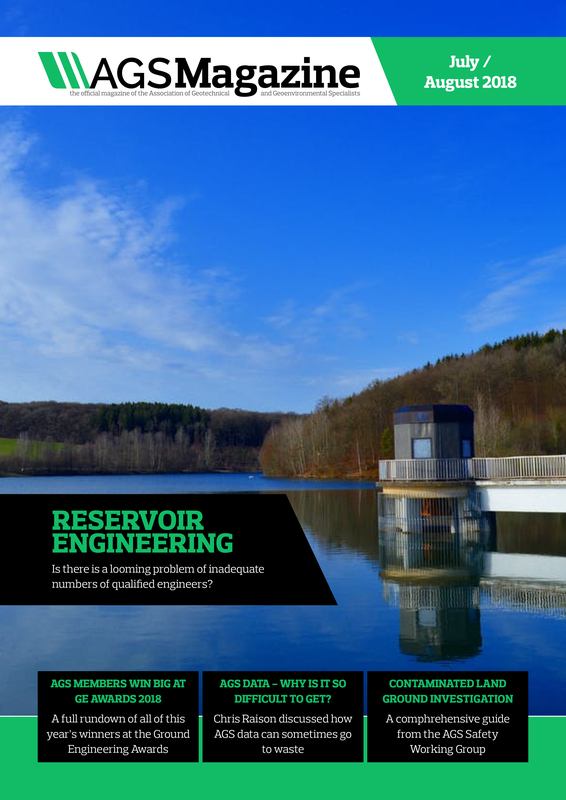 The Association of Geotechnical and Geoenvironmental Specialists are pleased to announce the July/August issue of their bi-monthly publication; AGS Magazine. To view the magazine click HERE. This free, bimonthly publication focuses on geotechnics, engineering geology and geoenvironmental engineering as well as the work and achievements of the AGS.